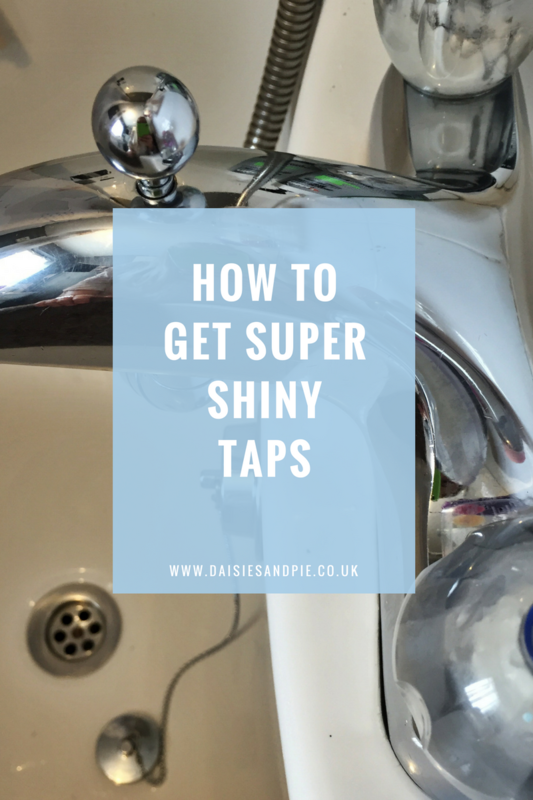 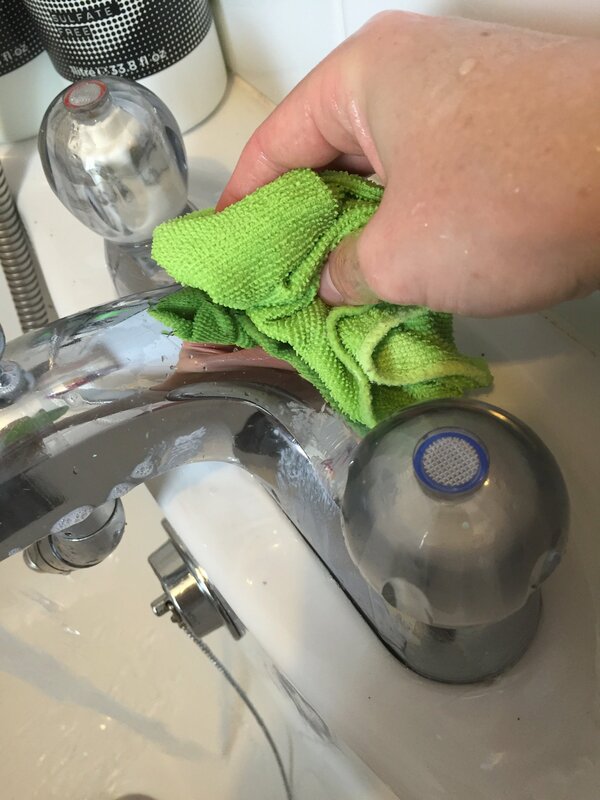 Taps can quickly start to look dull and water marked over time but it’s really easy to get them back sparkling clean and really shiny. 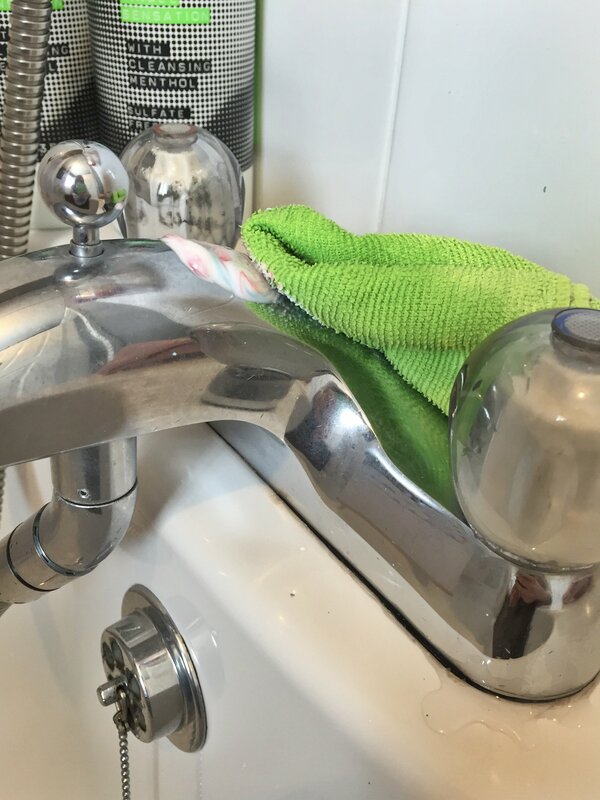 This is the method I use for my stainless steel tap, don’t go trying it on other finishes as it may spoil them, and if you’re unsure always check the manufacturers guide or try out a tiny test patch in a hidden area. 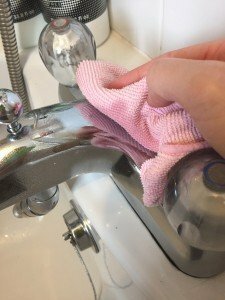 Dampen the cleaning cloth with water and squirt on a little toothpaste. 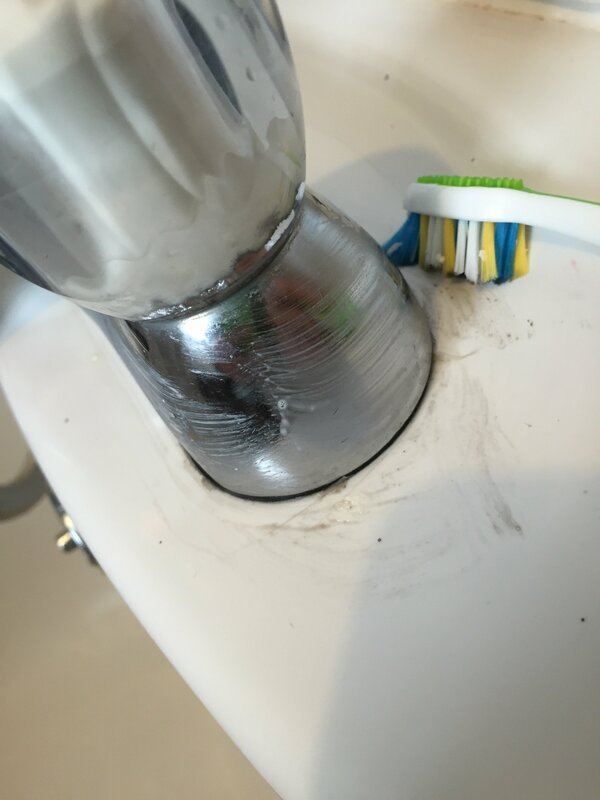 Rub the toothpaste all around the tap gently. Using an old toothbrush clean around the base of the tap and in and around any tight crevices. Add a spot of baby oil to a dry soft cloth and rub onto the tap, polishing it to super shiny. More cleaning tips right here.